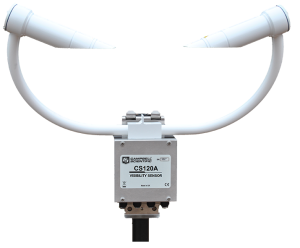 Campbell Scientific are delighted to announce that the CS120A Visibility Sensor has been selected by the UK Met Office for use at safety critical sites following a recent competitive tender process. The award was made following a detailed review of the specification and comparative testing by the Met Office of the CS120A and several competitor models. The CS120A, developed and manufactured by Campbell Scientific at its European Headquarters in the UK, is an infrared forward scatter visibility sensor utilising the proven 42° scatter angle to report Meteorological Observable Range (MOR) in the range 10-75,000 m.
Optical Products Manager at Campbell Scientific, Mike Brettle said “Winning this contract is particularly pleasing as it was awarded based on the high technical capability of our sensor and not just in terms of our stated operational specification but also following thorough testing by the customer. We have worked hard on the development of this sensor and believe offers a class-leading balance of high specification and competitive pricing”.